﻿ Irish Film Institute -Celebrating A Tale of Samurai Cooking win a poster & DVDs! 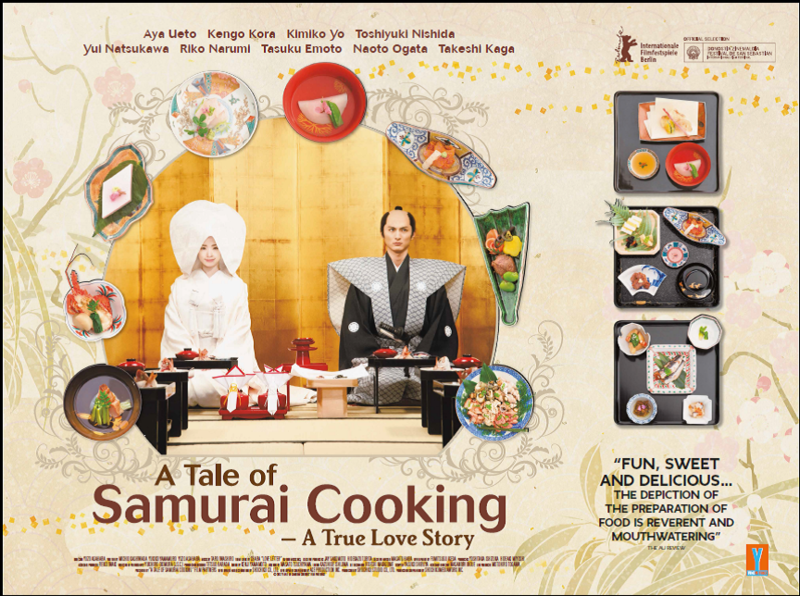 Celebrating A Tale of Samurai Cooking win a poster & DVDs! Celebrating the release of A Tale of Samurai Cooking: A True Love Story, which opened January 9th, exclusively at the IFI we have a film poster and a DVD bundle including the DVDs Machan, LA Without a Map and Alois Nebel, courtesy of our friends at Yume Pictures to give away to one lucky winner! In Edo period Japan, Haru is an impetuous divorcée working as a maid. Her sense of taste and declarations at dinner parties serve to embarrass her mistress, but impress Dennai Funaki, a head chef for a warlord’s clan from Kaga. The chef proposes that Haru marries his son and heir, so that the Dennai family might provide a lineage to serve delicacies to future generations of the powerful elite. But when she does agree to marry Dennai Yasunobu, she finds he has no skills in the kitchen and is only distracted by dreams of fighting like a proper warrior. Haru is charged with showing Yasunobu the nobility of his position and improving the food he serves. It’s a difficult place to build a relationship from, but Haru takes on the challenge. 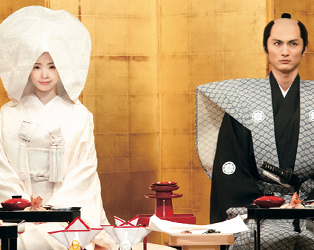 Based on historical events, A Tale of Samurai Cooking: A True Love Story is a sumptuous delight. A Tale of Samurai Cooking is set during which period in Japanese history?